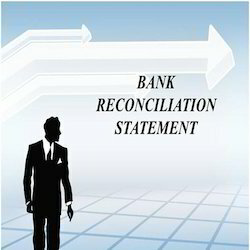 Management of bank operations with monthly reconciliation statements. Bank reconciliations and credit card reconciliations require expert hands to work on as these are relatively considered to be complex accounting processes that require outstanding accounting and execution skills. We are passionately engaged in rendering qualitative Bank Reconciliation Service to our valuable clients. 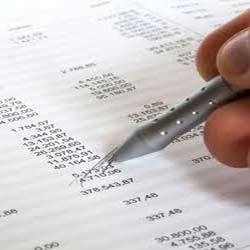 Our experts ensure that the company's records (check register, general ledger account, balance sheet, etc.) and the bank's records are correct. We offer this service in an efficient manner within the stipulated time-frame. StarRECON is a web based PCI DSS compliance comprehensive 4 ways Reconciliation, Settlement & Dispute Management System for retail banking transactions, which has paved the way to mirror bank transactions from the Bank's Switch/Host/ATM-EJ/Interchange/Tie-up Banks, for managing net payments & receipts. Online Bank Reconciliation is an web based tool for the business units to reconcile their bank accounts with the cash book ledger. This is a vital process for every business unit for monitoring the cash movements and to finalize the books of accounts. Our company also offers bank reconciliation services and helps our client match and compare accounting records against those shown on a bank statement. It allows our clients compare their account records to the bank's records of their account balance in order to uncover any possible discrepancies. In this, you can put clearing dates to adjust bank transactions. Intelligent provides the user a facility to reconcile bank accounts with his bank statement and hence providing the user with information regarding transactions, which haven’t been cleared as yet by the bank.